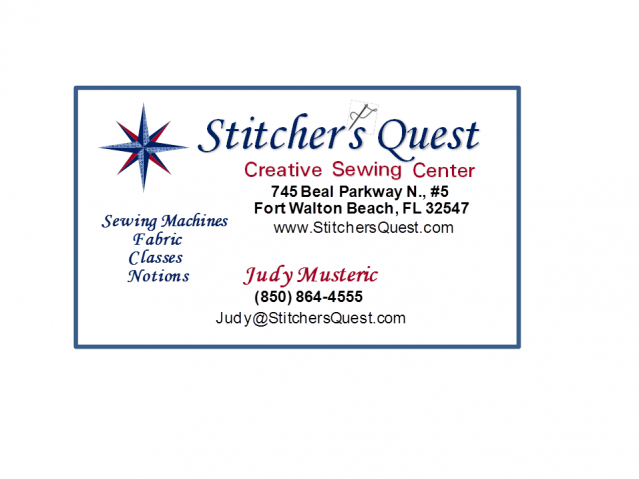 Stop in today for our Sew Pink Event! We have a fun project for you to make and refreshments. We are supporting the White Wilson Community Foundation in its mission to improve women's health care and cancer prevention. We have a Bernette Sew Pink for one lucky winner of our raffle - a value of $650! Tickets are $5 or 5 for $20 and the drawing is at 5:30 p.m. today. You need not be present to win, but you won't win unless you stop in and purchase a ticket.